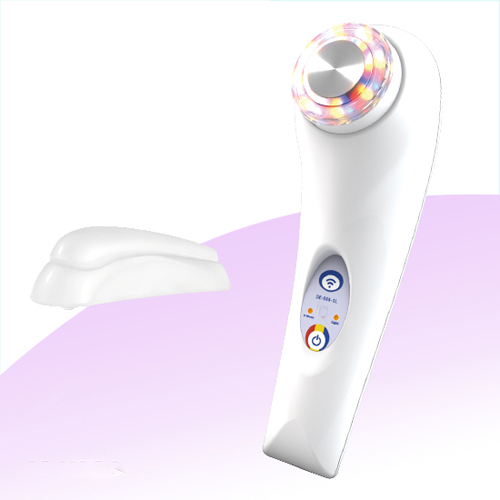 Ultrasound & LED Light Beauty Device, Personal Ultrasound Facial Care Beauty And Health Equipment - High quality Taiwan Ultrasound & LED Light Beauty Device, Personal Ultrasound Facial Care Beauty And Health Equipment provides by Jean-Modern's Ind. Co., Ltd.
Micro massage from ultrasound can lead the maintenance change to the member into the deep skin, use with the red light can stimulate the collagen, improve the spots and wrinkles, enhance the gloss and elasticity of skin. With Three Colors LED Light. Outside Color LED Light: 640nm (Red LED). 470nm (Blue LED). 590nm (Yellow LED).